You never transmit personally identifying information that you do not enter yourself, and this is always your option. This information cannot be collected unless you specifically elect to send it to us. This information is used internally only for the purpose of fulfilling the request or for contacting you directly and is not sold to any other organisation. Your information is transmitted directly to Scott’s Removals and stored on our servers in a secure environment. Another type of cookie known as a “persistent”. These cookies remain on your PC for a period of time, which can be different for each cookie. ‘Strictly Necessary’ cookies let you move around the website and use essential features like secure areas, online forms, systems and shopping baskets. These cookies don’t gather any information about you that could be used for marketing or remembering where you’ve been on the internet. Remember things like information you’ve entered on forms when you navigate to different pages in a single web browser session. In some cases, some of these cookies are managed for us by third parties, but we don’t allow the third party to use the cookies for any purpose other than those listed above.Using our site indicates that you accept the use of ‘Performance’ cookies. Remember settings you’ve applied such as language settings, layout, text size, preferences and colours. No functionality cookies are used at this time. Scott’s Removals uses a third-party service, Lexis Click, to help maintain the security and performance of the Scott’s Removals website. From time to time, Scott’s Removals adds additional content to its websites. We use a third party, Lexis Click, to improve our website. Access to any personally identifiable information held in website databases is restricted to Lexis Click employees responsible for maintaining the Scott’s Removals websites. High security protocols are employed to ensure your personal information is stored in a secure environment in accordance with the latest internet security protocols. For further information on Lexis Click’s privacy notice please click here. When you call Scott’s Removals various phone numbers we may use Calling Line Identification (CLI) information via a third party, ResponseTap. You will always be notified in advance if your call is being recorded and it is your choice whether you continue with the call. In the event your wish to speak to us on a non-recorded telephone line, please contact us on +44 20 8963 4000. All call recordings are deleted from the ResponseTap system after 30 days. Occasionally, for training and monitoring purposes, Scott’s Removals may choose to keep a call recording for longer than 30 days, for example in the event that an employee requires further training, identified as a result of the call recording. Access to call recordings are restricted to Scott’s Removals senior management. We use call recordings to help improve the efficiency and effectiveness of our customer service response and to monitor the effectiveness of our advertising. For information on how Response Tap processes this information please see their privacy notice here. 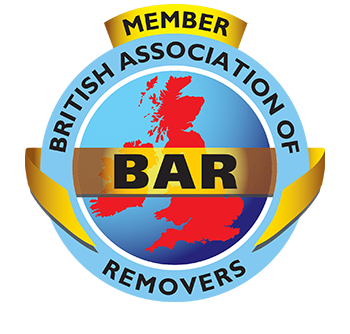 We have outlined below details about the type of information that Scott’s Removals keeps about job applicants, current and former employees and the purposes for which it keeps them. You can read more about this here. Scott’s Removals believes that these uses are consistent with our employment relationship with each member of staff and with the principles of the Data Protection Act and the GDPR. Although the provisions of the GDPR apply to EU employees only, we follow the same general data principles for all employees worldwide regardless of region. The only exception to this relates to data storage as specified below. During the recruitment process Scott’s Removals will ask for information about your personal and employment history. All of the information you provide during the process will only be used for the purposes of progressing your application, or to fulfil legal, regulatory or legitimate requirements if necessary. If you are applying for a position within the European Economic Area (EEA), Scott’s Removals will not store any of your information outside the EEA. If you are applying for a position in the US, your data will be stored in the US. Scott’s Removals will not share any of the information you provide during the recruitment process with any third parties for marketing purposes. The information you provide will be held securely by us and/or our data processors whether the information is held in electronic or physical format. Scott’s Removals will use the contact details you provide to us to contact you to progress your application. We will use the other information you provide to assess your suitability for the role you have applied for. All external applicants who are to be formally interviewed will be asked to complete an Application and Pre-Employment Screening form (HRR 23).The selection process will normally begin with a discussion between the Recruiting Manager and their Line Manager or Department Head in order to determine the selection approach. The appropriate selection method may not necessarily be limited to, but will always include, face to face interviews. We may also ask you to complete a test or attend other selection events such as a selection centre or psychometric testing. This information will be held by Scott’s Removals. In compliance with Scott’s Removals’ recruitment guidelines, if we make you a conditional offer of employment we will ask you for information so that we can carry out pre-employment screening and vetting checks. The information held will be for our management and administrative use only, but from time to time we may need to disclose some information we hold about employees to relevant third parties. We may also transfer information to another division within the Group or to an external company solely for purposes connected with your career or the management of Scott’s Removals’ business. Scott’s Removals requires all employees to comply with the DPA and the GDPR in relation to information about other staff. Failure to do so will be regarded as serious misconduct and will be dealt with according to the Company’s disciplinary policy and procedure. If an employee is in a position to deal with information about other employees they will be given separate guidance on their obligations. Scott’s Removals tries to meet the highest standards when collecting and using personal information. For this reason, we take any complaints we receive about this very seriously. We encourage people to bring it to our attention if they think that our collection or use of information is unfair, misleading or inappropriate. You can make a subject access request to Scott’s Removals in writing. Please email us at data@cadogantate.com or write to us at the address below, stating which data you wish to see and including your name and contact information and any details or relevant dates that will assist us in identifying what you want. We will normally respond to any subject access requests within one month. However, should we require extra time we will let you know within one month from the date of the request stating our reasons. The copy of your personal data is provided free of charge. Scott’s Removals may charge a reasonable administration fee for additional information and/or copies if it believes the request is ‘manifestly unfounded or excessive’. We keep our privacy notice under regular review. This privacy notice was last updated on 17th September 2018. BORED WITH THE LEGALS? CONTACT US TO GET MOVING!